I really like the paradise vibes on the Nusa Islands. 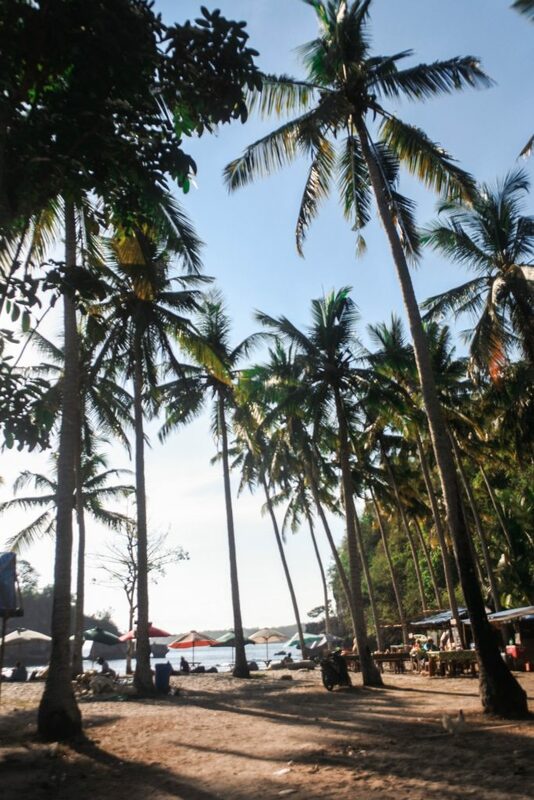 If you’re planning to visit Bali, make sure you stop by this paradise island. 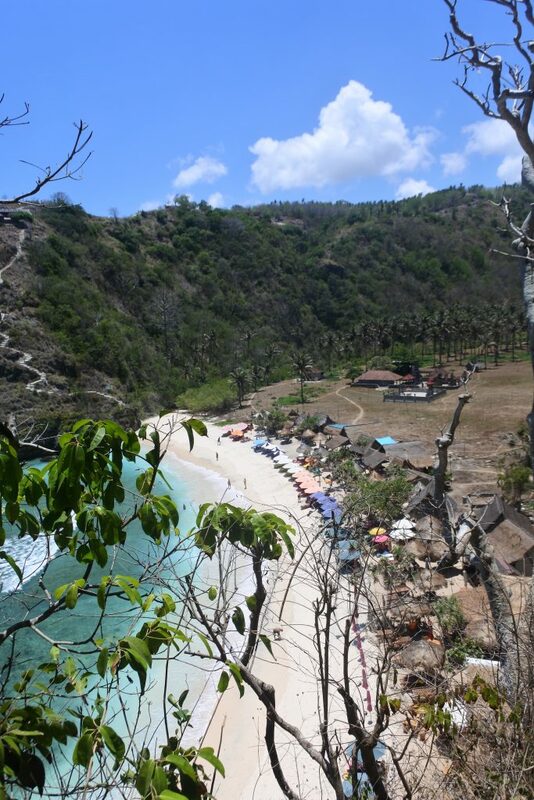 It’s completely different than Bali, less touristy, perfect blue water beaches and has stunning nature. 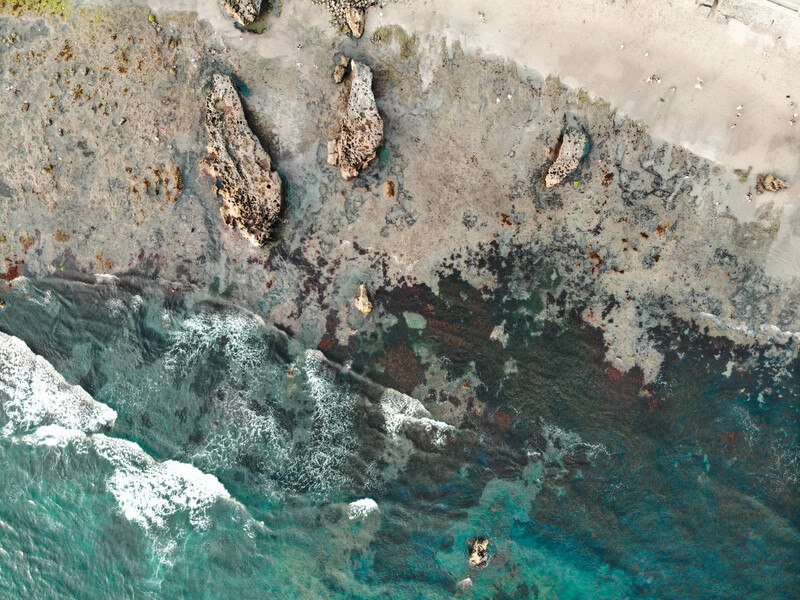 There are 3 different Nusa Islands, Nusa Lembongan, Nusa Ceningan and Nusa Penida. 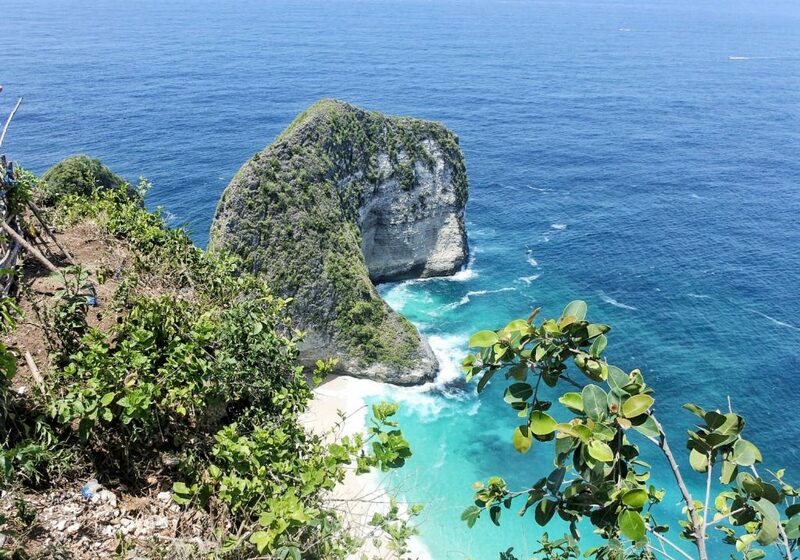 The smallest island is Nusa Ceningan, followed by Nusa Lembongan and the biggest island is Nusa Penida. There are really different, but all worth visiting! 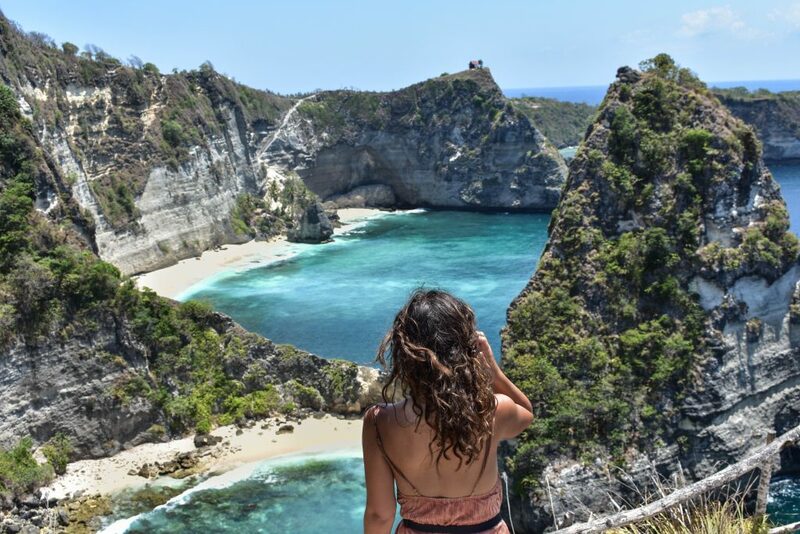 In this post, I will tell about the highlights of Nusa Penida. 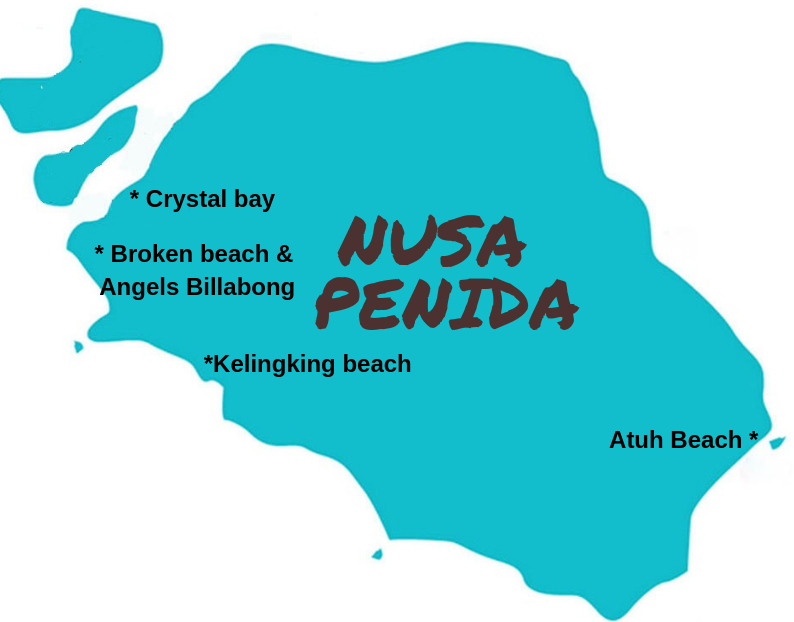 How to go to Nusa Penida? 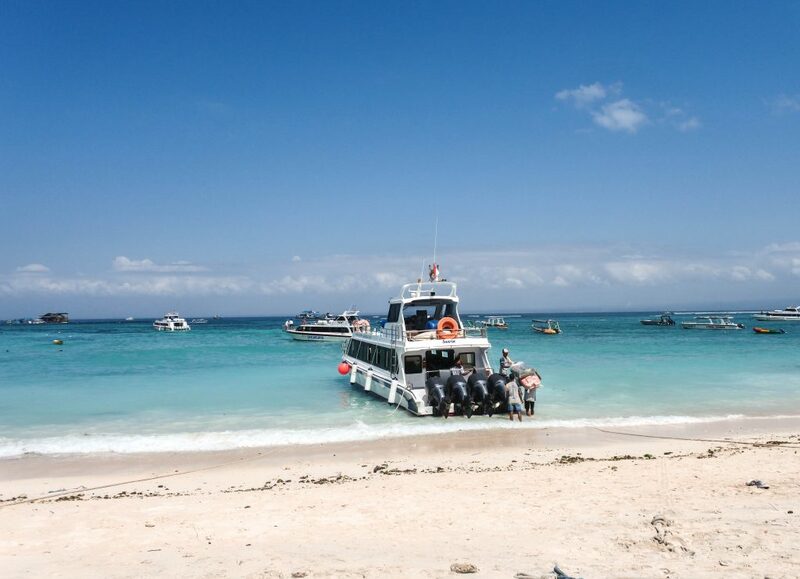 You can go to the Nusa Islands with a ferry from Sanur (Bali), the Gili Islands or Lombok. 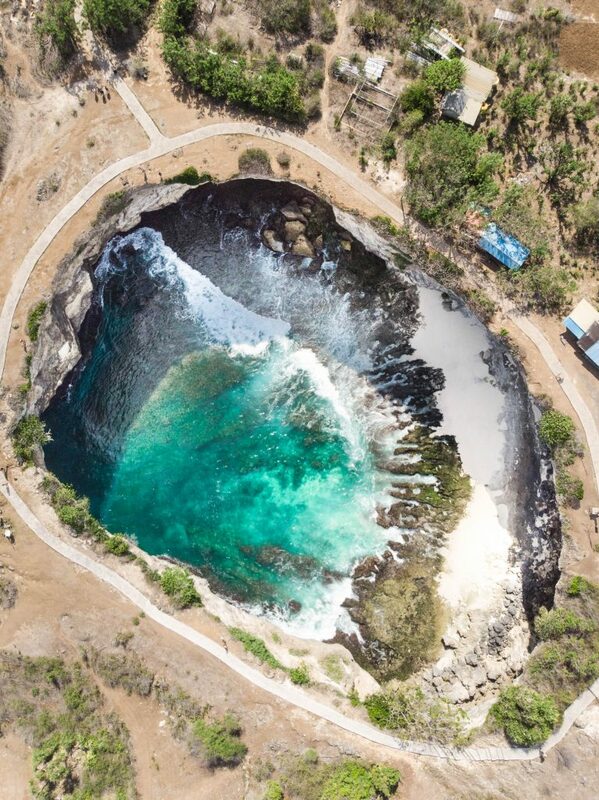 Between the Islands Nusa Lembongan and Nusa Ceningan is a bridge, so it’s possible to visit the place without a ferry. Oh and a little tip, If you have a little bit seasickness, make sure you bring a plastic back, it can be really bumpy. 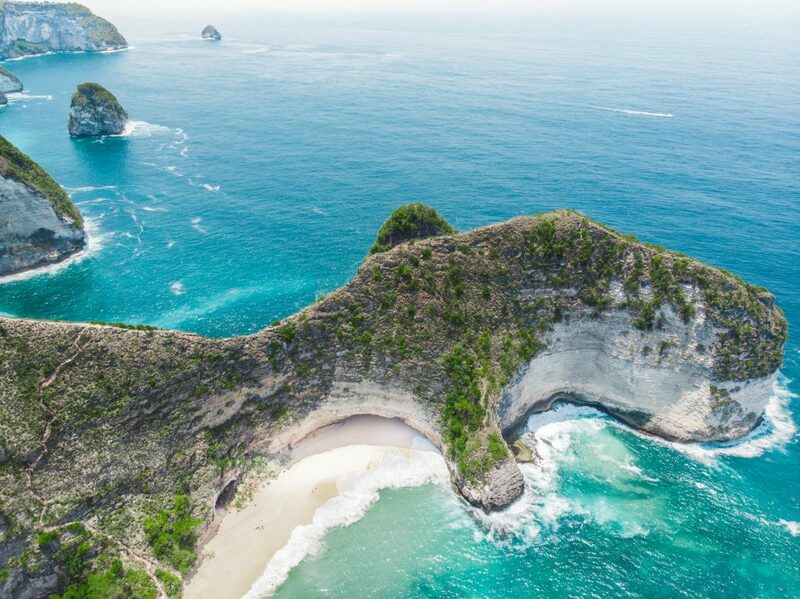 The price depends on the island, but a one-way ticket is around 100.000-250.000 roepiah, depending on your bargain skills 🙂 Oh btw, make sure you take enough cash with you, there are ATM’s at Nusa Penida, but they aren’t always working. 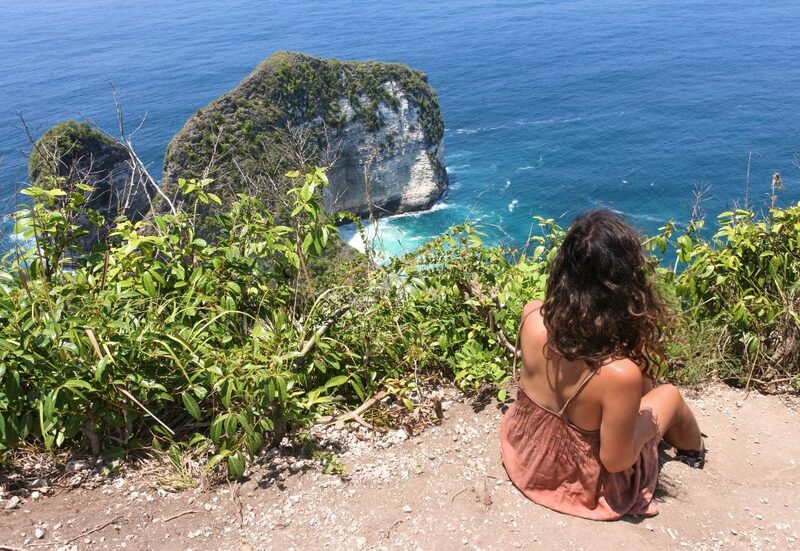 How to get around in Nusa Penida? Most people will say that renting a scooter is the cheapest option, they are right. But, the roads are really bumpy and I’ve seen a couple people with accidents on the road, so If you’re comfortable on a scooter rent if. If not, I would suggest hiring a driver during your stay if you want to see the island. (You can easily rent a scooter in Nusa Lembongan and Nusa Ceningagn, the roads are way better over there). To help with creating your trip I made this map with the must-visit hightlights during your stay. I am gonna write about my favorite spots to see: Crystal Bay, Broken Beach, Angels Billabong, Kelingking Beach and Atuh Beach. 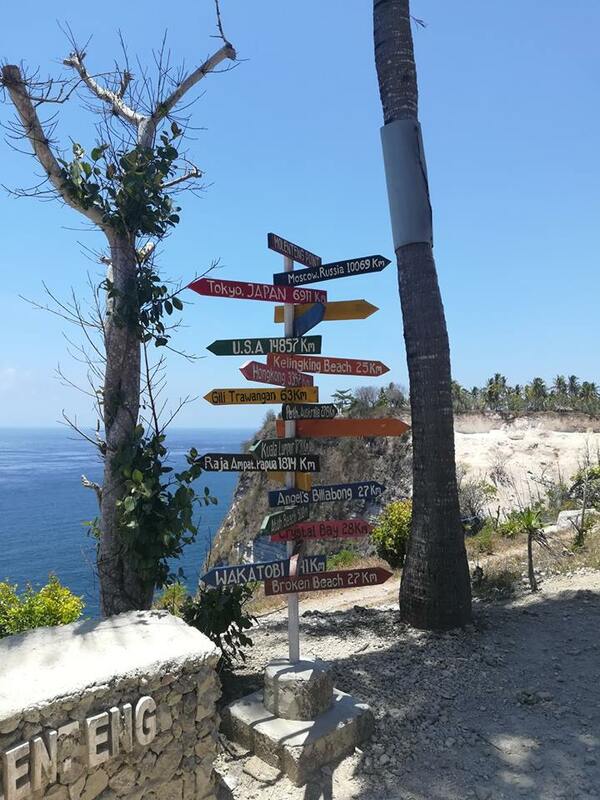 If are curious for more places to discover the island check out: Waterfall Guyangan, Banah Cliffs, Pulau Seribu viewpoint, Bukit Teletubbies (best time to visit is during or just after the rain season). Where to find your accommodation? There are a lot of guesthouses, homestays, hostels, villas and a couple hotels. Most accommodations you will find around Crystal Bay (west), Atuh Beach (east) and Ped (north). The price can be from 10 euro till 80 a night, depends on your budget. 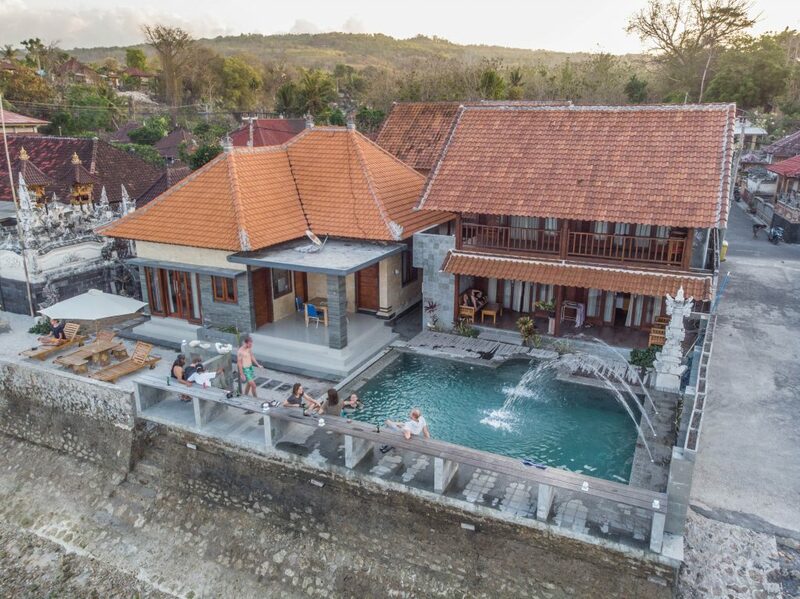 I stayed in the east of the island with couple friend I met from co-working, we slept in Waterside inn, located in the north of Nusa Penida. A really nice, quiet place close to the beach with a really nice breakfast. You can go down, but prepare yourself for a little hiking. It’s not that stable, but the view will be really great. 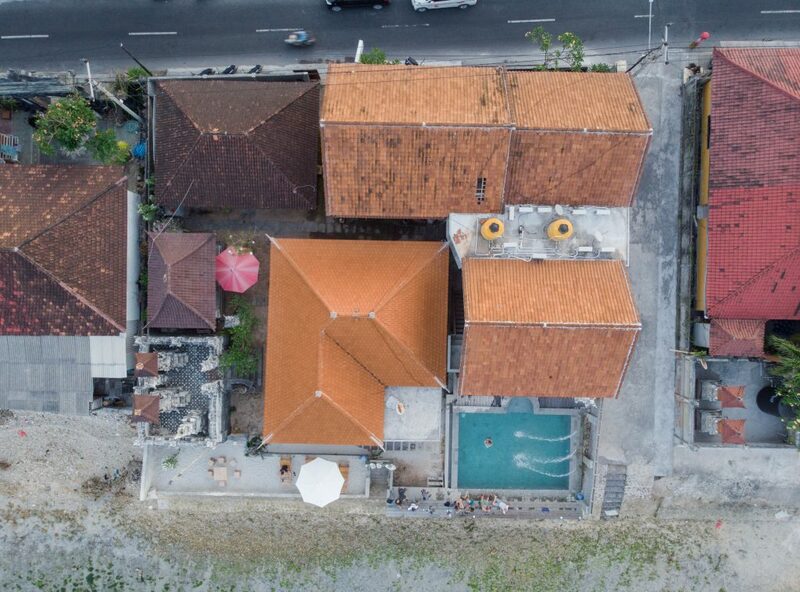 I brought a drone to the place, that’s why I was able to shoot from above, really like this spot! This beach is one of my favorites. 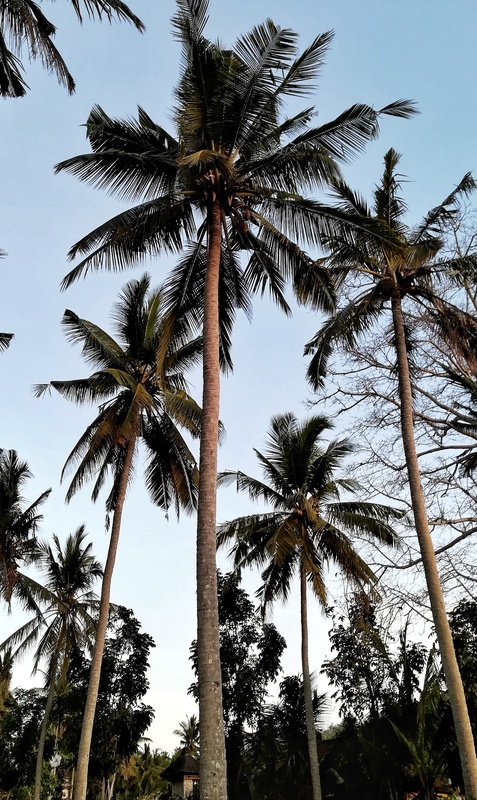 I love the fact that there are so many palm trees, chill beach pillows and in general a good vibe. There are a couple beach restaurants that serve food, drinks and snacks. 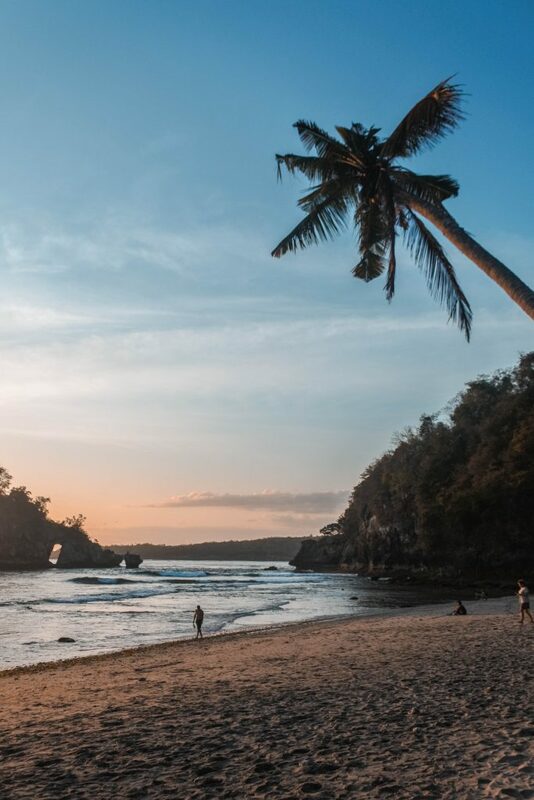 This beach has one of the prettiest sunsets, so make sure you watch it when you’re around! This place is really awesome to see. It’s definitely a unique place, the walk isn’t that long, but make sure you ware good shoes, it can be a bit slippery. 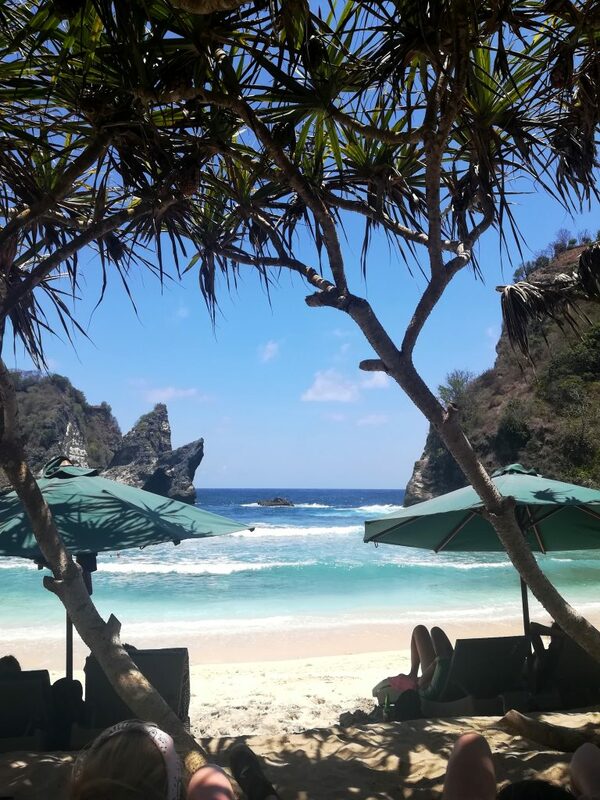 So, these are my favourites places in Nusa Penida. Check them out when you’re around, you won’t regret it! This is great , love it. Very good article. I definitely appreciate this site . Continue the good work!